Is Walmart, Target or Kmart Cheaper? We assessed several factors when comparing Walmart, Target, and Kmart and used a variety of methodologies, including site visits, customer and expert interviews, an informal Facebook poll, and analysis of online reviews. We started by visiting one location for each retailer within the same market, armed with a shopping list link here to chart of items from major departments. A simple price comparison of Walmart, Target, and Kmart showed Walmart the cheapest, with a bottom-line total of $1,776.15, followed by Target at $1,866.10 and Kmart at $2,092.82. While shopping, we assessed each store's organization, inventory presentation, customer service, and cleanliness. Target and Walmart fared well in all areas while Kmart fell short. The Kmart location we visited was poorly maintained, shelves were empty, and unhelpful sales associates left customers disgruntled. We also compared the stores' websites and shipping policies. Here, Walmart stood out with far more online offerings, multiple shipping options, and a marketplace for third-party sellers (like that of Amazon). Additionally, we evaluated the pharmacy, health, and vision services at each store. Walmart and Target offer health clinics, vision centers, and low generic prescription prices, among other perks. Kmart's offerings are far more limited. A single visit to a single store won't necessarily yield a representative shopping experience, so our conclusions factor in what others had to say about Walmart vs. Target vs. Kmart in external surveys, in person, on Facebook, and elsewhere online. While those sources also have their limitations -- e.g., non-random sampling of customers -- the picture that emerged of each retailer closely aligned with our own in-store experiences. Target surfaced as a favorite among shoppers for its pleasant atmosphere and desirable products. The stores are clean, the atmosphere is calm, the employees are obliging, and the products seem well made. Shoppers voiced a strong preference for most store-brand items at Target, saying the quality is superior. In particular, customers take to Target's clothing lines and several also contend that the house-brand home goods and furniture hold up better than counterparts at Walmart and Kmart. A handful of parents highlighted Target's Up & Up brand baby products. "Up & Up diapers, wipes, and formula are all as good as the much costlier name brands," one Facebook comment reads. A majority of respondents to our Facebook poll, however, consider Walmart's house brands the best value. "For the most part, the consumer lives in a world of commoditization run amok and chooses stores' brands based on their price," said Cliff Courtney, who studies consumer behavior as executive vice president and chief strategy officer at Zimmerman Advertising. Shoppers from all corners, including a broader monthly survey by Bloomberg Industries, confirm Walmart's reputation for low prices. The retailer also scored high in our research for good service and (usually) clean stores, although some shoppers find the stores too big and overwhelming. One customer told us it's tough to get in and out quickly, so trips are reserved for large shopping hauls when low prices really count. Others stated that Walmart is always too crowded and the frenzy just isn't worth the cash savings. Little love was lobbed in Kmart's direction. Most shoppers we encountered in the store were disappointed with the service and some deemed the facility dirty. We queried other consumers about their Kmart shopping habits and learned that they don't visit the store regularly. Several told us they stopped going when they noticed the high prices and how often the shelves were empty. Others were deterred by the lack of a nearby location. Such negative feedback, combined with our own shopping experience and Kmart's higher price point, relegated the retailer to a distant third in our comparison. Identifying the victor was not easy when it came down to Walmart vs. Target. Each claims a loyal customer base, is endowed with a certain reputation, and boasts different strengths and weaknesses. The distinctions between these fierce competitors are real but subtle, turning on perceptions and subjective judgment as much as on any objective variables. "For a long time, our research proved that many consumers, especially Walmart's core of blue-collar moms, saw Walmart as a necessary evil," Courtney said in an email interview. "Target owned the emotional high ground, as well as the same kind of design cues that consumers gravitate to in record numbers -- the 'Apple-izing' of retail." (Zimmerman has done work for Target but is not the retailer's agency of record.) Courtney cited an effort Walmart launched several years ago to revamp its image -- de-cluttering stores, cultivating a friendlier atmosphere, and changing its tagline from "Always Low Prices" to "Save Money. Live Better." "They finally gave the consumer a better reason to shop than price," he said. Walmart and Target ran neck and neck in the race we sponsored. In the end it was Walmart by a nose, fueled by its prices, value, breadth of offerings, and near ubiquitous presence. An ongoing study by Bloomberg Industries asks the same question each month: Is Kmart, Target or Walmart cheaper? Researchers found that Target posted the lowest average prices on 150 items during August 2012 while Kmart proved considerably more expensive than the competition. The difference between Target and Walmart was slight, however, and Target hadn't come out on top since the preceding October. Analysts suggested that deep back-to-school discounts had given Target a temporary price edge. Frugal shoppers should note that both Target and Walmart match competitors' advertised prices for identical items in the same local market. Target's Low Price Promise requires customers to present an original print ad -- no photos, copies, or mobile phone renderings accepted. Walmart honors its Ad Match Guarantee even if the customer doesn't have any form of the ad in hand. While these policies usually exclude notoriously volatile online pricing, Target has announced that its stores will match the online prices of competitors (including Amazon) ahead of the 2012 holiday season, from Nov. 1 to Dec. 16. Encounters between shoppers and sales staff can make or break a shopping experience. Whether it's Walmart or Target or Kmart, all fall down in at least one aspect of the customer-store encounter. Our field research found Target and Walmart to be swarming with helpful employees. At each store we were approached multiple times and offered assistance; whenever we had a question, we were able to locate an accommodating salesperson within seconds. Our informal poll of customers confirmed this assessment. Our visit to Kmart, on the other hand, was dispiriting. We had trouble locating any employee and it seemed that whenever we did spot one, their response was to turn and walk the other way. At checkout, we found that all three stores had too few open lanes. Despite a layout with more than 15 checkout lanes and a long line of shoppers at Walmart, only four were open. Our poll on Facebook indicates that shoppers also take issue with the checkout scene at Walmart. Several reported waiting 30 minutes because only three lanes were operating; one person said it took "forever" to check out because of a poorly trained cashier, and one mother reported the cashier bought himself a candy bar on her dime when she turned around to attend to her child. The checkout situation at Target and Kmart was similar on the days we visited. Of 16 checkout lanes at Target, only two registers were in use and the lineup of shoppers was long. Adding to the frustration, two employees were standing at the end of the checkout area talking and three others were hanging out in the nearest department in full view of checkout. We couldn't help but wonder why none jumped in to help clear out the congestion. Our checkout experience at Kmart was likewise off-putting. Of seven lanes, only one was open with a line of people waiting to be served. The employee at the register was yelling at a manager across five lanes that she was tired and needed a break, making us feel like an added burden. A good shopping experience also requires a clean store. During our visits, we found both Target and Walmart stores presented a comfortable atmosphere and seemed to be well maintained. Kmart looked generally unkempt. The floors were filthy, some items were soiled, there were no shopping carts up front and no sign of the hand sanitizer or wipes often available at stores with shopping carts. Bottom line, shoppers give Target the prize for overall shopping experience. Said one: "I find Target the most pleasant atmosphere. I've seen people with dogs in their carts at Walmart and have had horrendous bathroom hygiene issues at Kmart." Another Target shopper told us, "Unfortunately for Walmart, Target seems a lot cleaner, with more professional employees." Discount superstores have become one-stop shopping destinations. That is, customers can buy groceries in addition to housewares, auto and office supplies, cleaning products, jewelry, clothing, and more. 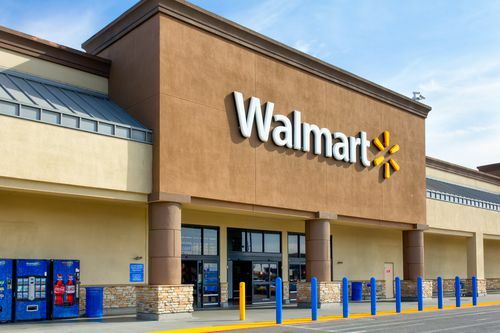 Walmart boasts more than 3,000 Supercenters that contain full grocery stores within their walls. At the location we visited, the Walmart grocery department included a meat counter, deli, bakery, and aisle after aisle of food choices -- just like a traditional supermarket. Our local Target stocks a full selection of packaged groceries, but lacks a deli and bakery. The produce section is small, although it does feature quite a few organic items. Target is remodeling more than 200 stores in 2012 to add more fresh groceries, bringing the total number of locations with an expanded food selection to more than 1,100. SuperTarget stores include deli and meat departments and a bakery. Only about two dozen Kmart stores are Super Centers with full grocery departments. Our local Kmart stocked a very limited selection of grocery items -- mostly dry and canned goods and a smattering of dairy, all of which looked tired and not particularly appetizing -- with no fresh produce at all. Despite one customer's assertion that "Walmart is the cheapest across the board for everything, especially groceries," the items on our list (milk, cereal, and peanut butter) were cheapest at Target: $11.52 in total, compared with $11.54 at Walmart and $14.97 at Kmart. Target scored some of its biggest gains in the Bloomberg price comparison in this category, although Walmart retained an edge in food prices overall. If you're looking for the cheapest place to buy electronics and office equipment, Walmart is it. An Xbox 360 with 250 GB of memory was going for $50 less than the same gaming system at Kmart or Target, and a 15.6-inch laptop was also $50 less than comparable laptops at Target and Kmart when we visited the stores. As for the shopping experience, we found the Target electronics department to be well stocked, well organized, and teeming with eager and helpful employees. The shelves in the Walmart electronics department were crowded and the sales staff seemed busy and not as approachable. Kmart suffers in comparison. During our visit we noticed numerous empty shelves and had to hunt for items that were out of place; we even found some items haphazardly strewn about that belonged to other departments. The laptop we were interested in was in a locked case with the box turned so that only one side faced out; it happened to show the return information and not the specifications. The sales associate we approached was unable to provide assistance and we observed other customers who encountered similar frustrations. All three stores sell basic personal necessities -- clothing and health and beauty supplies. The final tally for identical health and beauty items, including deodorant, body wash, and a toothbrush, was lowest at Walmart but only pennies cheaper than Target. The bill at Kmart, by contrast, was more than $7 higher. Target bested the competition with the largest selection and the most organized display. The aisles and shelves were a little cramped and crowded at Walmart, and Kmart was a disorganized mess. For example, it took us nearly 10 minutes to find deodorant because it was located around the corner from the rest of the health and beauty inventory. Clothing is a big draw for customers of all three stores. Kmart and Target have more aggressively wooed fashion-conscious consumers with exclusive celebrity and designer lines. Kmart features Selena Gomez and Sofia Vergara collections and Target's history of designer partnerships includes a line from Italian fashion house Missoni that attracted enough traffic to crash the retailer's website in 2011. Walmart takes a different approach. "Aside from some pockets of moderate success, their attempt at being Gen-X-cool failed and they deliberately went back to the 'all-American' styles that supported their brand early on," Courtney, the advertising executive, said. Indeed, at Walmart we found that many clothes were less fashion-forward and some were geared toward trade workers (e.g., racks of coveralls and thermal flannel shirts). Target's clothing selection was far larger than the inventory at Walmart or Kmart and neatly and logically displayed. Kmart's clothing department, meanwhile, was a mess -- many items were unfolded and in disarray. We couldn't find price tags on men's jeans nor any sign or shelf markings with the information. No employees were present who could help. For the items in our virtual shopping cart (a shirt, pants, and shoes for a man, woman, and child), Walmart registered the lowest prices, followed by Kmart and lastly by Target. One customer told us that Target has a better selection of clothes, but she's not willing to pay the higher prices, so she buys them at Walmart instead. Many other shoppers overlook Target's higher price point because they net better quality merchandise. "I don't care for the quality of clothing at Walmart or Kmart," said one shopper. "I just feel the clothing at Target is better made and of higher fashion." Another customer lauded Target's proprietary Mossimo clothing brand, saying she's never been disappointed. "The sizing is always right on, the price is decent, and (the clothing) goes on clearance quickly," she added. "I have yet to get rid of any Mossimo items for quality purposes. In fact, I have a Mossimo brand sweater that I purchased almost six years ago that I wear every winter. It's still in perfect condition." With the big holiday shopping season rapidly approaching, retailers are already fighting it out for spots in Santa's sleigh, which benefits frugal consumers. We checked prices for three toys that appear on experts' lists of hot holiday gifts: Furby, Master Moves Mickey, and LeapPad 2 Explorer. All were cheaper at Walmart, but the store's advantage on the latter two items amounted to mere cents while a Furby cost $6 less. The Target and Walmart toy departments were clean and orderly. Again, Kmart disappointed. Some of the toys were dirty and the shelves were empty of LeapPad 2 Explorers. Target, Kmart and Walmart all boast full-service pharmacies. At the Target pharmacy, customers can get select generic medications for $4 and participate in a rewards program. After obtaining five eligible prescriptions, shoppers are rewarded with a 5 percent discount on all Target purchases for a day. One customer who posted a review on Consumer Affairs says she has relied on multiple Target pharmacies and always found it to be a good experience. The pharmacists are informative, helpful, and friendly, she wrote, and the staff at her local store recognizes her and knows her health history. And yet, we read multiple complaints from consumers who say filling prescriptions requires a lengthy wait and some pharmacists aren't particularly helpful; one person reports having received an empty prescription bottle. The Kmart pharmacy tries to stay competitive with its own low-cost program. It charges $5 for the generic version of 500 medications, up to 35 percent off other generic medications, and up to 20 percent off brand-name medications. The catch: You must join the Kmart Pharmacy Prescription Savings Club by paying a $10 annual fee. Customers in 33 states and Washington DC can opt for home delivery of maintenance medications, 90-day prescriptions, and diabetic supplies. Walmart also offers a list of $4 generic prescription drugs and free home delivery. The Walmart pharmacy garners far more complaints at Consumer Affairs than does the service at Target. The gripes range from lost paperwork and incorrect medications to mislabeled containers; one person with diabetes reports going for three days without insulin because the Walmart pharmacy insisted it was too early to refill the prescription. Select Target locations in Florida, Illinois, Maryland, Minnesota, North Carolina, and Virginia operate Target Clinics that handle minor illnesses and injuries, skin treatments, vaccines (including flu shots), sports camp physicals and other wellness services for all but the youngest children (the minimum age is 18 months). Most major insurance plans are accepted. A similar clinic at Walmart, with locations in Arkansas, California, Colorado, Florida, Georgia, Idaho, Illinois, Indiana, Iowa, Kansas, Kentucky, Maine, Minnesota, Mississippi, Missouri, Nevada, North Carolina, Ohio, Oklahoma, Pennsylvania, South Carolina, Tennessee, Texas, Virginia, Washington, West Virginia, and Wisconsin, is privately owned and operated. Kmart takes a different approach. Select pharmacies offer flu shots and/or host periodic health events. For example, all Kmart pharmacies are sponsoring a Senior Health Event in November that offers blood pressure checks, memory screening, and information on diseases. The staff can also help senior citizens sign up for Medicare. The Walmart services at the store we visited include a vision center where customers can get a basic eye exam for $58 and a contact lens fitting for $98. Frames and single-vision lenses with scratch resistance start at $38 a pair. Select Target stores also have optical centers where customers can get a basic eye exam or contact lens fitting and buy eyeglasses, sunglasses, and contacts. Each of these retail chains also offers a variety of additional services, from photo development to layaway plans and financial services. Kmart does not handle picture developing, but it operates portrait studios at select locations, as does Target. Customers can have pictures developed at Walmart or Target. Target specializes in digital pictures, with prices starting at 29 cents for a 4x6. The process is self-service and the results are immediate. "Not the highest quality prints around, but quick and easy and, for certain projects, good enough," said one customer at the photo-developing center. Walmart's services are more extensive. For digital prints, instant processing costs 28 cents and one-hour service costs 25 cents for each 4x6. Customers can put the prints onto a CD or DVD and create greeting cards, invitations, photo books, calendars, posters, mugs, blankets, mouse pads, and more. Kmart is well-known for its layaway program, which is available for select in-store and online items. Customers can choose an eight- or 12-week layaway and then make bi-weekly payments. Layaway requires a $15 or 10 percent deposit (whichever is greater), plus $5 or $10 to open the account. Pickup is available when the last payment is made. Walmart's layaway service applies to in-store items only during the holiday shopping season, starting mid-September. Eligible items include toys, electronics, small appliances, and select sporting goods; jewelry qualifies for layaway all year. Starting the process requires a deposit of $10 or 10 percent of the purchase price (whichever is greater) plus a refundable $5 toward a Walmart gift card. Minimum payments vary by item but start at $15. Target does not have a layaway option. All three stores provide some type of financial services. 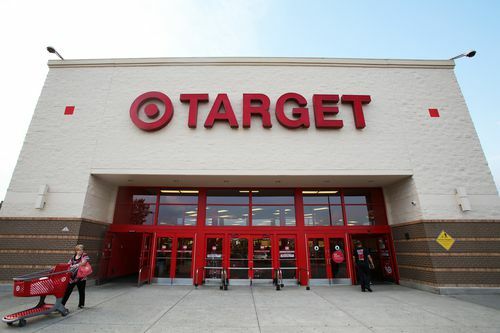 Target offers a store credit or debit card called the REDcard, which promises shoppers 5 percent off Target purchases and free shipping for online orders. Walmart services include the Walmart money card and credit card, money transfers, bill paying, and money orders. Kmart issues Sears credit cards and prepaid credit and debit cards and sells pet, health, and dental insurance. Although most of our assessment reflects the in-store experience, many people prefer to shop online. Walmart outscored Target on that front in a study of customer satisfaction conducted in 2012 (Kmart.com wasn't included because it doesn't rank among the top 100 e-retailers). Our research found the websites for all three retailers easy to navigate, but Walmart stood out for the breadth of offerings and for its shipping policies. It follows the marketplace model used by Amazon, which allows third parties to sell through Walmart.com while also promoting Walmart's own inventory. Note, however, that different rules apply for shipping, returns, and cancellations on marketplace orders. For purchases from the retailer itself, select products qualify for free shipping if the order exceeds $45; alternatively, items ship free to the store or a FedEx Office near you. Customers laud that Site to Store option in Walmart.com reviews posted at SiteJabber while others express frustration when they find that their local stores don't stock all the products available online or when low online prices aren't reflected in the store. Many disgruntled customers complain on Reseller Ratings that Walmart.com takes forever to process orders. One customer reports that orders from other stores arrive at his doorstep before Walmart even processes the order. Target does not operate a marketplace nor offer store shipping for purchases made through Target.com. Free shipping applies only to some items with an order of $50 or more and to purchases paid for with a Target REDcard. A website redesign in 2011 drew a roundly negative reception, and more recent reviews at Reseller Ratings also tell a glum story. Many complain about being charged multiple times for a purchase and then running into roadblocks when trying to have the excess charges cleared away. Others report receiving the wrong item, damaged products, and paying high Target shipping fees. Consumers posting on SiteJabber direct positive feedback toward the brick-and mortar store more often than the website. Like Target, Kmart shuns the online marketplace approach and ships only to a designated address. Kmart.com offers free shipping on select orders of $39 or more, but if you expect to be a frequent shopper, you can sign up for the "Shop Your Way Max" membership. The first 90 days are free and entitle you to unlimited free shipping on many items and free two-day shipping on select products, with no minimum order. After the 90-day trial is over, membership costs $79 a year. But according to many shoppers' reviews at Epinions, ordering through Kmart.com can be a no-win experience. One toy collector reports that Kmart advertised the hard-to-find Thor and Captain America action figures as in stock and ready to ship, but something else was in the package and a subsequent visit to an online forum found others with similar experiences. At Reseller Ratings one customer who ordered a pair of jeans and a shirt received a pair of Marvel comic swim trunks. Shoppers at both review sites carp about terrible customer service when trying to sort out problems. Walmart's generous return policy gives shoppers up to 90 days for refunds or exchanges accompanied by a receipt. Returns without a receipt qualify for cash (if the amount is less than $25) or a gift card (if the amount exceeds $25). Customers can also return Walmart.com items to a store within 90 days with a receipt. Target offers a similar 90-day return policy with a receipt but specifies that items must be in new condition. Goods purchased online can be returned to a Target store if the packaging slip so indicates. Returns made to Kmart must be accompanied by a receipt or email confirmation (for Kmart.com items) within 90 days of purchase (30 days on some items) and must be in new condition. Refunds are given in the original form of payment, except for checks, which qualify for cash refunds. Prices $1,776.15 for the products on our shopping list. Ad Match Guarantee doesn't require customer to present competitor's ad. $1,866.10 for our basket of goods. Low Price Promise with competitor's print ad. $2,092.82 for the items in our shopping cart. No price matching. Walmart Lowest total cost for a basket of goods and the most lenient price-matching policy. Shopping Experience and Customer Service Some customers complain that stores can be crowded and checkout slow, but our local store was orderly and employees were helpful. Stores are clean, organized, and easy to shop. Tired, understocked displays and indifferent employees contribute to a generally negative shopping experience. Target Tidy stores, a calm atmosphere, appealing products, and accommodating employees. Grocery More than 3,000 Supercenters with full grocery. Large selection including deli, bakery, and tons of fresh produce. More than 1,100 locations with fresh groceries but only some with bakery, deli, and meat counter. General-merchandise stores feature organic items, but produce section is small. Few stores have full grocery departments with fresh produce, deli, and bakery. Products at our location looked past their prime. Walmart More locations with full-service grocery departments and the biggest assortment of foodstuffs by far. Electronics and Office Lowest prices and good selection but crowded shelves and very busy employees; one employee's cell phone rang while with a customer. Prices a bit higher but displays better organized. Good selection and available, helpful employees. Highest prices of the three, limited national name brands, small selection, empty shelves, and indifferent employees. Walmart and Target Comparable prices and well-stocked departments. Clothing, Health, and Beauty Decent selection, including attire for trades workers; lowest prices. Not the cheapest, but fashionable merchandise and reputation for quality. Unorganized displays, poor signage, no readily available assistance. Target Biggest selection, up-to-date trends, and reputable store brands. Toys Lowest prices, helpful employees, well-organized displays. Clean, orderly displays and easy-to-find items. Empty shelves, dirty toys, and no employees to help. Walmart Target puts toys in easy reach, but Walmart wins on price. Pharmacy and Health Services $4 generic prescriptions and free home delivery; privately operated health clinics in 27 states; vision centers at select stores. $4 generic prescriptions and pharmacy rewards program; health clinics in six states; optical services in some stores. $5 for many generic medications, discounts on others and on brand name drugs with fee-based membership plan. No health clinics, only occasional health events. Walmart and Target Both have vision centers, health clinics that accept major insurance plans, and pharmacies that promise savings. Additional Services Many services, including photo developing, portrait studio, layaway, and multiple financial services. REDcard offers 5 percent off and free shipping; photo developing, portrait studio; no layaway. Well-advertised layaway program; multiple financial services; no photo developing. Walmart Walmart offers the greatest assortment of additional services, including a full-service photo center. Website and Shipping User-friendly website with multiple shipping options and free shipping on some orders. Customers complain about slow order processing and shipping. Easy-to-navigate website but smaller selection. Customers complain about high shipping fees and erroneous charges. Well-organized website and free shipping on some orders. Customers complain about errors, damaged shipments, and bad customer service when trying to resolve issues. Walmart The most shipping options and largest selection in a category where none receives strong user reviews. Walmart has a lot to offer frugal consumers. The very low prices, enormous selection of merchandise, full-service grocery section, pharmacy and health clinics, photo developing, price-match guarantee, and free shipping of online purchases to a store earn this discount retailer the top perch in our three-way competition. The virtual shopping cart we filled for our Walmart review comprised 30 items that came to $1,776.15, $90 less than the final bill at Target and $317 less than the total at Kmart. According to an informal poll of shoppers and reviews we found online, value and convenience draw in the crowds. Walmart stores are one-stop shopping meccas and customers are thrilled by what they regard as a high quality-to-price ratio, especially on in-house brands. An expert affirms that cheap prices are the lure and notes that Walmart partisans seem relatively indifferent to fashion trends, preferring the basics that fill the aisles. Still, Walmart has invested in an image upgrade in recent years to better compete with Target. During our visit to a Walmart Supercenter, we found the store to be clean, well laid out, loaded with inventory, and staffed by friendly, helpful employees. That said, Walmart reviews include a fair number of negative comments about the discount retailer. Many stem from perceived cleanliness problems. For example, one customer told us she has seen numerous dogs in peoples' shopping carts, another said spilled milk in an aisle looked as though it had been there a while, and a third reported that a diaper malfunction was left on the floor. Others expressed discomfort with the stores' overwhelming size, bustling crowds, and long lines at checkout. Given Walmart's undisputed success, these reviews are clearly minority reports. The bottom line: It's hard to beat Walmart. Although Target is inching ever closer, Walmart still dominates on price, number of locations, and assortment of products and services. These are the primary considerations for many consumers and earn this retailer a whole lot of their shopping dollars. Our runner-up pick for best discount retailer, Target lays claim to the affections of a large segment of the shopping population. Our Target review concluded that cheap prices on a wide assortment of goods -- from groceries to medications to toys to clothing, housewares, electronics, auto supplies, and more -- well-run stores, and a reputation for quality offerings, often make Target the retailer of choice for thrifty consumers. A virtual shopping cart of 30 items totaled $1,866.10, which is slightly more expensive than a basket of identical and like items at Walmart and quite a bit cheaper than the same basket at Kmart. An informal poll of shoppers and reviews posted online cite factors such as products that last, value pricing, helpful employees, clean stores, and a calm atmosphere as reasons why they prefer Target over Walmart and Kmart. Experts say the upscale budget image Target nurtures is a strategy that pays off handsomely. Our in-store shopping experience at one Target location was largely positive, as well. The only small hiccup we encountered the day we visited was the checkout line -- too many customers and too few cashiers -- but that was an issue at each of the stores we visited. Our Target review found that the clothing department excels, boasting a large selection of fashionable, affordable clothing bearing in-house labels for infants through adults. Target's proprietary line of baby products endears it to many parents, as well. The discount retailer also maintains a large electronics department with a plentiful selection of quality items at low price points and is currently expanding its grocery offerings at many locations; the range of organic food products also draws in shoppers. Target's pharmacy charges $4 for generic prescriptions and offers a rewards card that lets customers earn a 5 percent discount on one day of shopping after filling five eligible prescriptions. Health clinics operate in select Target locations in several states and some locations also operate a vision center. Target maintains a website that consumers like to grumble about in Target reviews. The site offers free shipping on select items totaling $50 or more. You can't go wrong at Target, but you won't find quite the selection -- either online or in stores -- that you can at Walmart. Although you might pay more, a lot of consumers assert the lasting quality and better shopping experience is well worth it. Among the three major discount retailers we reviewed, Kmart is the weakest contender. This proved true for all the variables we assessed in our Kmart review, including price, selection, and shopping experience. The virtual shopping cart of 30 identical and like items we assembled at each chain came to a total of $2,092.82, more than $300 higher than Walmart and nearly $230 above Target. Our Kmart review found that the retailer often fails to register on consumers' radar, partly because locations are increasingly few and far between and also because of negative associations with the brand and its stores. An informal poll of shoppers indicated that many consider the physical facilities dirty and under-stocked, the staff indifferent, and the prices high. The range of departments and services at Kmart stores is less expansive than the competition's offerings. 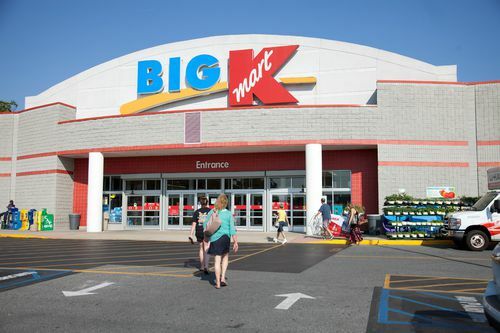 Kmart, for example, lacks vision and photo-developing services, does not offer in-store health clinics, and operates a full grocery department (with fresh produce, deli, and bakery) in only about two dozen stores. Its layaway program, meanwhile, is a claim to fame. Like other discount retailers, it sells clothing (including some celebrity lines), home goods, electronics, furniture, toys, health and beauty supplies, and more. Our in-store shopping experience revealed many issues consumers raised in Kmart reviews. Cleanliness and organization were high on the list. We found no empty carts at the store's entrance nor any wipes or sanitizer to use on a cart we eventually came across abandoned mid-store. We also noticed that the store just didn't seem clean -- the floors were grimy, as were some of the toys. Items were out of place, price signage was often missing, the shelves looked bare, and the choices within each category of items were very limited. The handful of employees in evidence seemed listless and unwilling to answer questions. We also overheard one complaining about a customer and a cashier nearly begging for a break. Kmart just doesn't play in the same league as Walmart and Target. Our shopping experience was poor, as were those of consumers we encountered and shoppers who have posted Kmart reviews online. On top of that, prices are relatively high. Better value can be had elsewhere. Which big box retailer is the top choice among frugal consumers?